If you like strong opaque colours then this is the set for you. 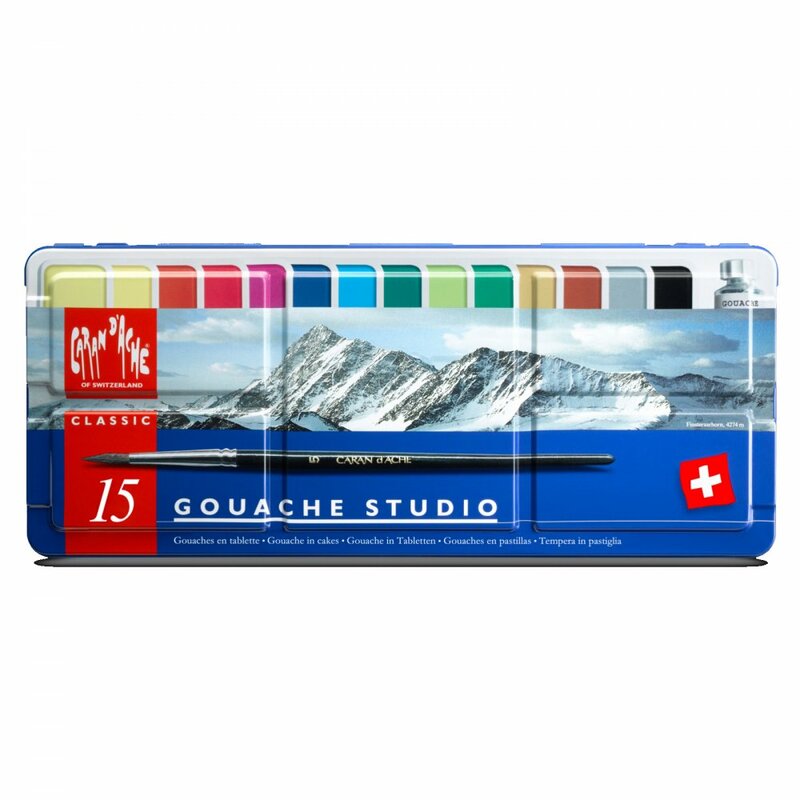 This Caran Dache Gouache Studio set comprises of highly pigmented gouache pans with concentration that ensures exceptionally bright, lightfast colours that are economical in use. These Water-based paints have natural binders with a velvet-feel, which do not form cracks. There is even the possibility to obtain watercolour effects. Set of 14 pans and one tube of white. Showing 2 Caran D'Ache Classic Gouache Paint - 15 Set reviews. Average rating of Excellent. Would you like to write a review? Beautiful tin of gouache paints in a bright selection of colours. These paints are smooth and thick even though they are in pans. Great for sketching with, I don't find the size of the tin to big, for going out with in fact the pans are quite large, which is great to use. I teach art to adults and have already recommended them to my students. Give them a go, they give you the advantage of watercolour washes with the ability to cover areas opaquely.